For recent developments, please visit Moon Chase! Who Helped Make This Campaign Possible! ADV Films, Bandai, Bandai America, The Cartoon Network, Cloverway Inc., DiC Entertainment, The Walt Disney Company, The Forge, Fox Kids, General Mills, The Gersh Agency, The Guardians Of Order, Irwin Toys, Kodansha, Nielsen Media Research, Optimum Productions, Pioneer/Geneon Entertainment, Princess Naoko Planning, The Program Exchange, Saatchi & Saatchi, Toei Animation, USA Cable Television Network, Variety, Video Research Ltd. of Japan, and the YTV Network of Canada. Robert "Ditchdigger" Billings, Jonathan Cook, Devra "Evvie" Goldberg, Chi Ming Hung, David Koenigsberg, Aaron Maupin, Jennifer Mondazzi, Emiko Oromichi, "Sailordees," Marc Wang, Susy Yusung, and many more! And a special thanks to the Stony Brook University of New York and Iwaynet.net for providing server space and bandwidth. September 5, 2004 - There have been a few developments since our May 3, 2004 report on the Total Eclipse of Sailor Moon in the United States. Toei and PNP do not seem to have come to an agreement concerning the reduction of fees to Naoko Takeuchi for overseas (outside of Japan) versions of PGSM. It appears that Toei is making good on its threat not to license PGSM outside of Japan. Regardless, the SOS would like to inform all parties that we have received an incredible amount of hits from mainland China to our pages with gifs of PGSM. China seems fascinated with this show. With the anime licenses expiring overseas Toei may use this opportunity to end its relationship with Cloverway, Inc. with all of its productions. Toei might open its own offices in the United States to license and maybe distribute its product. Such a change may not be good for fans. Most companies like Toei have had terrible experiences when dealing directly with the American market (Pioneer/Geneon being the exception). Geneon appears to be positioning itself to convince Toei to let it, Geneon, to continue to distribute Toei productions especially the Sailor Moon anime (since PGSM will not be distributed in English speaking markets as originally planned). This would not be the first time a company with a Sailor Moon license interpreted its agreement in conflict with Cloverway and/or Toei. This situation will either get resolved or end like a train wreck (as it did with DiC). In 6 months or so, fans will learn the outcome by carefully trolling the Geneon website. Meanwhile (as we previously reported on June 23, 2004 via our now defunct tickertape), the total eclipse in Japan will end this Fall. DVDs and merchandise of the anime will return. But no new anime is planned. Before considering any action we asked fans for suggestions and then we replied with news & feedback. Then, AOL effectively gave control of Turner Broadcasting over to WB-TV which caused us to consider another home and receiving input from fans. We then advised fans to buy Irwin's new Luna Ball but not enough did and Irwin dropped their toy license. Before starting any campaign, we thought it best to remind some of the companies involved what fans were perfectly capable of doing on their own. But then AOL did an about-face and the Cartoon Network regained some of its old freedoms. But then we wondered if certain characters were always naked when the Cartoon Network suddenly dropped the old episodes! We then reported how fans besieged the Cartoon Network causing us to call for a Time Out! But our campaign ended when Toei & Naoko Takeuchi created a Total Eclipse. Including Wizard's new Anime Invasion and how Cloverway's email address was hacked or hi-jacked. NewType profiles the anime and Kazuko Tadano. The English Language Voice Artists remain silent on many events: Read up on Terri Hawkes having twins then see not a word mentioned of Stephanie Morgenstern's recent offspring. And perhaps Sabrina Grdevich is needlessly embarrassed about listing her role as Sailor Pluto because she's now a Cover Girl for A.I. and got the starring role in Lola? Stephanie Beard is not scared to yell "wicked" repeatedly and Jeff Lumby's disguise fools everyone but us. And don't miss our giant, jumbo pack of multiple sightings and interviews! Followed of course by an even bigger update entitled, "VAs On The Loose!" And then came the Final VA Roundup. Buena Vista Home Entertainment was the first to release dubbed episodes by DiC. Pioneer Entertainment to present all 3 of the animated features and finally advertises the release of the subtitled VHS version. The members of the SOS Campaign present 6 really good reasons (and more) on why we should buy all the versions of the "Sailormoon" features! The dubbed versions were delayed but the subtitled versions came out in August 1999 and initially sold out. "Sailor Moon R: The Promise of The Rose" does great business while "Sailor Moon S: Hearts In Ice" receives mixed critical reaction. We reported Pioneer's interest, announcement and then plans for Home Video releases of the SMS & SuperS TV series. The problems with the new Voice Artists in the SMS TV series spurs interest in the feature, "Sailor Moon SuperS: Black Dream Hole" Home Video release. ADV Films announces that it will release all of DiC's dubs causing a war to break-out with Pioneer. Later, ADV revealed interest in an unedited DVD release and then prematurely leaked that they had the rights. At first ADV had to make do with DVDs of the DiC dubbed & edited version but then later was able to release the original, unedited Japanese version with English subtitles but not without making a recall. Pioneer (now called Geneon) marked down the features. Plus our updates for 1999 & 2000 and for 2001 & 2002. On June 7, 2003 Naoko (via her Bandai website) announced the plans for the Toei live action TV series to premiere in October. Sports Nippon (a Japanese newspaper) reported that the Tokyo Broadcasting System would air the show which would use Computer Generated effects. A friend sent us photos of the Fan Appreciation Event held in May 2000. Home Video releases of the long running series of Japanese musicals were under consideration by Bandai America but then abandoned when Toei Animation would not (or could not) negotiate for an American Home Video release. The original deal for Sera-Myu was for Japan only, an American deal could interfere with a live action feature deal. Plus, we think that Naoko Takeuchi may want to personally oversee the licensing to foreign companies. 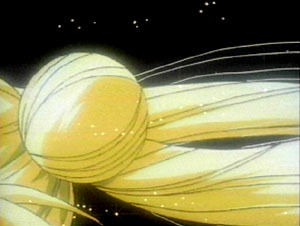 Naoko Takeuchi revealed the offer and asked fans for response. Kodansha announced the new, unrelated "Sailormoon World" but said that a decision concerning new "Sailormoon" had not yet been decided. Meanwhile, a fan scans in a sample of Tanoshi youchien from the Sailormoon World campaign. Toei & Bandai hold a Sailormoon 10th Anniversary Event. Later, Naoko revealed her interest in a new TV series, which was later confirmed as the new live action version. Our Neighbor Dragonball, the success of Pokemon, that Bermuda Triangle of anime Airbats, why we wanted fans to see Princess Mononoke and why the public didn't and staying up late for Cowboy Bebop. Sailor Moon Sightings Of A Different Kind! Of prehistoric times, of the sci-fi kind, of the deviant, defiled Disney kind, of the United Airlines kind, the Airbats kind, of the ReBoot kind, of the Justice League of America kind, the State of Ohio kind, the Weezer kind, the Return Of the Dunst kind, the U2 kind, The Core Kind and the Lisa Moon kind. Read Stu Levy's response and our reply! Join the SOS Action Team Mailing List! And why parents might be interested in joining as we plan our vacation! All Sightings Are Marked To Go! "Oh where, oh where, have the Voice Artists gone?" August 15, 2004 - In our 8 year history we only seriously tracked the whereabouts of the Voice Artists during the last few years. What started all this was when Louis Hurtubise of Optimum Productions claimed that some of the Voice Artists could not be found or were unavailable. Ever since then we really haven't been tracking them for your reading pleasure (with colorful articles such as this one); we were tracking them since we really needed to know where they were, what they were doing, on which park bench they were sleeping on or with (in case Louis were to make another claim so we could tell him exactly where they were). More fun in the privacy of your own home. You can whip up your own Sailor Moon showdown through the online version of the Guardians Of Order Collectible Card Game (CCG). No, you don't need to own any of the cards, all of that is provided online. But what you will need is Windows 98 SE or higher, 256mb of RAM, 60mb of free hard drive space (only when you play) and a 56Kbs modem or faster. Play against someone else you know online or with a complete stranger (but kids, make sure you tell your parents first)! You'll have hours of fun destroying your most hated character, over and over again. We hope that the regulars at the CCG Workshop will be nice to newbies (otherwise, this very good online version may never truly take off)! And a hint to newbies, really troll around the site first (for at least a couple of hours) before asking that first, really regrettable question (such as "What's a CCG?"). Support Sailor Moon by Buying Sailor Moon Goodies!! More So What Are We Missing? Fans should list, as accurately as possible, the name of the release (for example: Sailor Moon S, Heart Collection V). Please describe the problem in specific terms. For example, don't say, "It's red all over." When the problem might actually be, "There is a red tint that sometimes fades in and out over the picture. It only happens in Play and not in Pause." For extra credit tell Geneon the kind of DVD player you're using. Give Geneon some time to contact you back as they may get swamped with too many complaints. This also brings a close to one of our favorite, long-running features, "Sailor Moon Sightings Of A Different Kind!" We hope you've enjoyed them as much as we have. Sailor Moon is copyright © 1992 Naoko Takeuchi/Kodansha, TOEI Animation. English Language Adaptation © 1995 DiC Entertainment. This site and all of its contents are presented without the authorization or knowledge of the copyright holders. 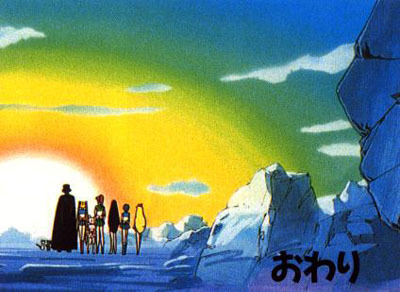 The SOS campaign was initially the result of efforts by members of the Sailor Moon mailing list (on Looney). The SOS team is an independent non-profit group not connected with ADV Films, Bandai, The Cartoon Network, Cloverway Inc., DiC Entertainment, The Walt Disney Company, General Mills, The Guardians Of Order, Irwin Toys, Kodansha, News Corporation of America, Optimum Productions, Pioneer Entertainment, Princess Naoko Planning, The Program Exchange, Saatchi & Saatchi, Toei Animation or the YTV Network of Canada. The SOS team receives no form of compensation for their work on the campaign and this site. Want to contact us? Good luck! We've finished this campaign! There's no one in the SOS clubhouse, treehouse, underground laboratory or proving grounds! If it's still up & running you could always try sending us an email at our Comments group: sos_comments2@yahoogroups.com. Do not attach any images, binary files or list your physical address or any phone numbers. It is a public group and anyone could read your private information. C'ya! 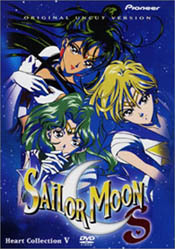 The MIDI song you should be hearing in the background is the theme to "Sailor Stars" posted on sailormusic.net. Server space and bandwidth for saveoursailors.org donated by Game Socks. Find the newest hidden object games at Game Socks.